Driving Lessons Blackley 10 HRS for £99 + Free Online Theory Training. Welcome to Go 2 Pass driving school Blackley – Driving lessons Blackley and all surrounding areas. Go2pass driving school – Driving Lessons Blackley and surrounding areas. Our driving lessons in Blackley are provided by fully qualified (ADI) male and female driving instructors. Our driving instructors will teach you how to drive a manual car in the safest manner to get you to become a safe and capable driver in no time. Here at go2pass driving school Blackley we have an excellent first time pass rate of 85% that’s more than double the national average of 35% you can’t go wrong with us. Learning to drive in Blackley Manchester can be a very liberating experience, one that you will never forget. With Go2pass your Driving Lessons in blackley will be taught in a professional friendly manner, we treat all our pupils as individuals, you can be assured that your driving lessons Blackley will be tailor made to your every need. If your nervous about your first lessons don’t be, our driving lessons are taught by very experienced driving instructors who will put you at ease. With our driving schools in the Blackley area you will learn to drive with complete confidence and in a relaxing and friendly environment. We offer intensive driving lessons as well as weekly driving lessons in Blackley. If you have already passed your driving test with another driving school in Blackley and are looking for some refresher driving lessons to get you back to the swing of things we can also help.our driving school in Blackley also offer pass plus driving lessons and motorway driving lessons. Taking the pass plus driving course could save you a lot of money on your insurance premium. We offer some fantastic introductory offers, your first 10 driving lessons will only cost £150 if you are a beginner, there are also some fantastic offers available for experienced drivers too. Please refer to the driving lessons price list found by clicking on the ‘Lesson prices ‘ button above. 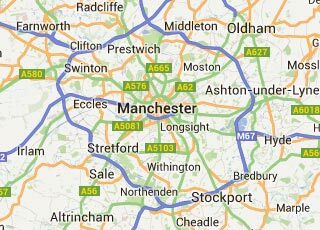 Our driving instructors and driving lessons Blackley truly are the best value for money anywhere in the Balckley or Manchester area. 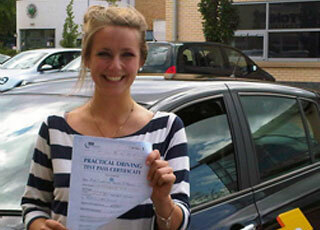 With us you will spend the least money and time to prepare for your practical driving test. With the help of Go2pass driving school Blackely will be become a full license holder in no time, so to book your driving lessons with one of our excellent driving instructors in Blackley by fill in the contact form or give us a call on 0161 7310017 to talk to our customer service representative. Driving instructors, Driving schools, Driving lessons Blackley and all surrounding areas.